In this post we'll explain how to interface and access an arduino project over the internet or by LAN. 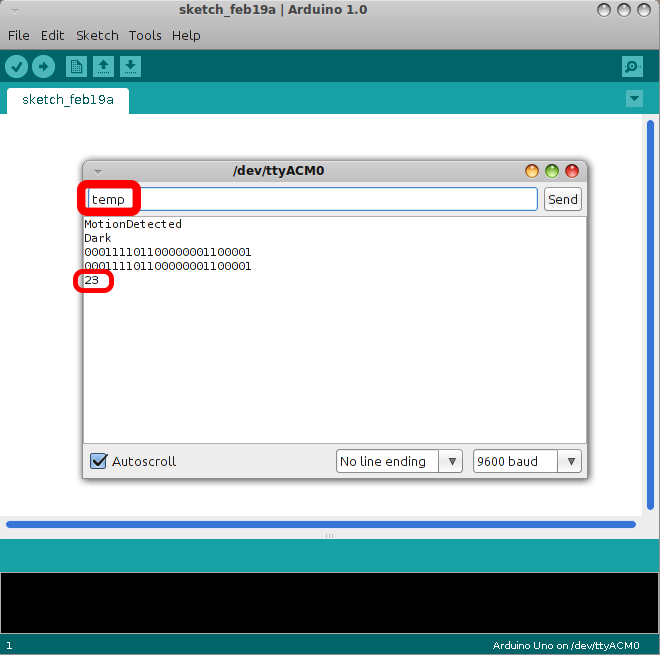 In the following screenshot I'll display some actions that my arduino does. For example, the sketch print MotionDetected to the serial port when PIR sensor detect motion, take illumination conditions on light command, read RF data from a remote control in order to transmit back to the corresponding device, and display the temperature when temp command is called. Let's make a simple paradigm with temp. 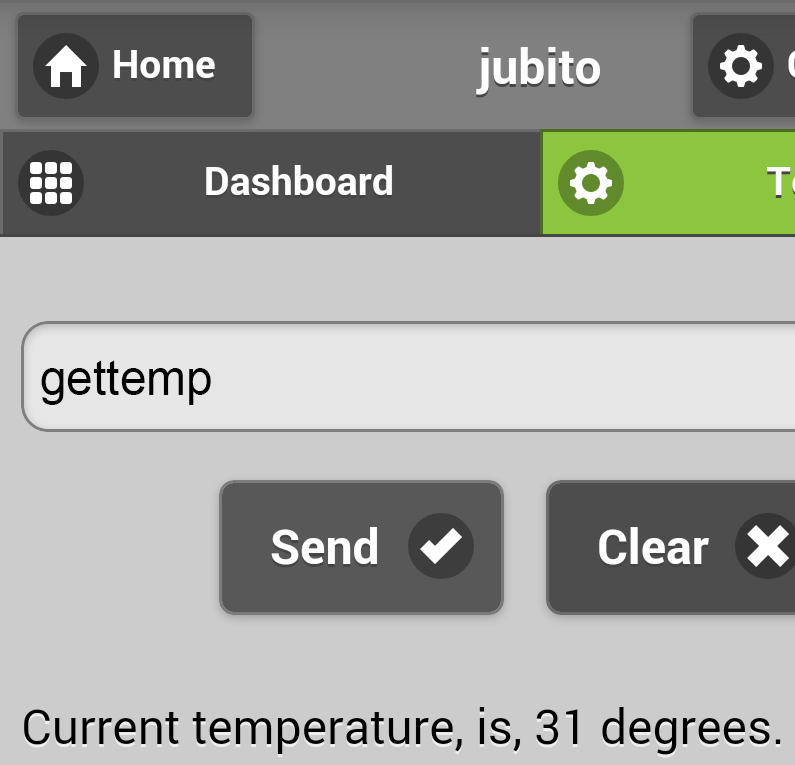 So, when temp command is sent to the serial monitor arduino returns the current temperature (1st screenshot). To create an interface, go to Control Panel/Instruction Sets/Add New Launcher. Enter a name (handler) and judo serial send <command> API call to transmit temp command to the serial port. 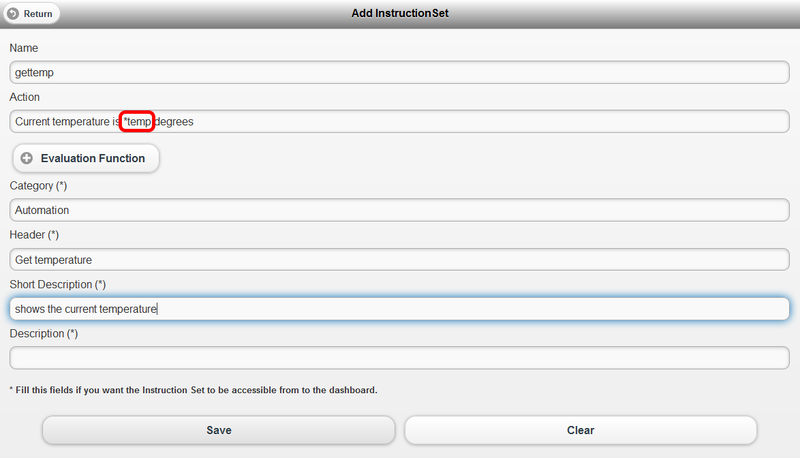 To make this action available to the dashboard, go to Control Panel/Instruction Sets/Add New Instruction Set and follow the screenshot. 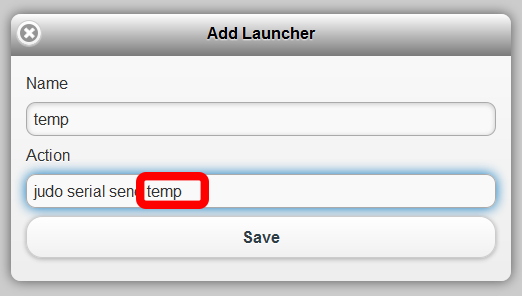 We always put the asterisk (*) token before a launcher to invoke it and retrieve the return value. In this case temp should be described as *temp. Save the above example, go to the Dashboard, refresh the page and you'll see the new command we just create. This is the result when it clicked. It will replace the *temp action with the value that arduino returns. For further debugging, launchers and instruction sets can be tested via terminal tab. In the same way we can make our security triggers, control appliances remotely, etc. More examples will follow. I followed the steps percisely as you said but after the first time i run the command: judo serial send httempc i get: Operation completed rather than the degrees. After that i have to unplug my arduion and plug it again. Any kind of help would be very much appreciated. Operation Completed is the default action when no value has been returned. Make sure your arduino reply at your command httempc on its serial monitor. 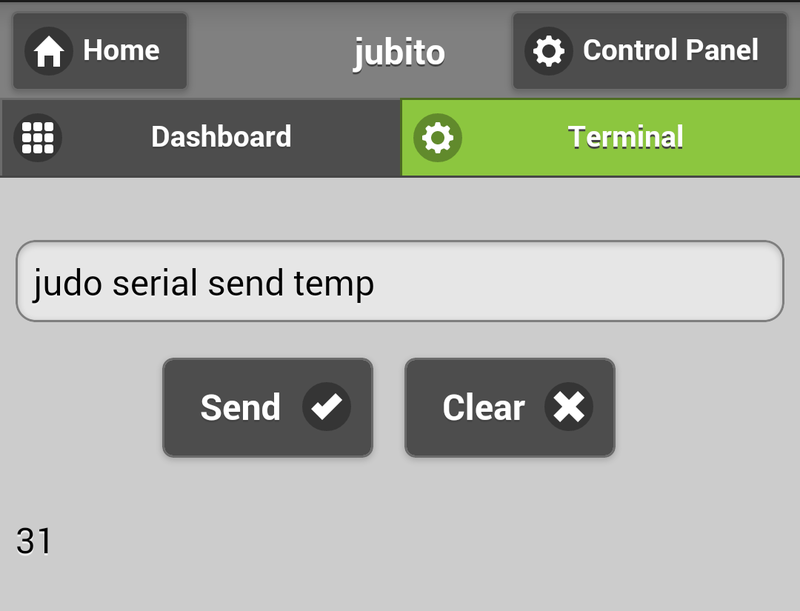 You can send me at jambel@jubito.org your sketch and Jubito's AppConfig.xml to review and send it back to you. Operation completed is also returned when com port is not properly communicate with Jubito. Where is some arduino code for this? 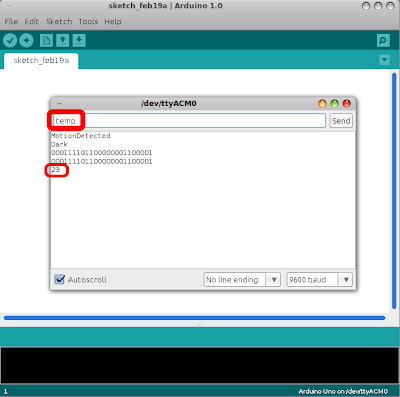 Check the link find out more on arduino tutorials before first screenshot. This post is very general just to describe the concept.